There are 464 posts in this topic. You are on page 9 of 10. Where is this code update, WOZ/JJP forum that everyone speaks of? Private forum. 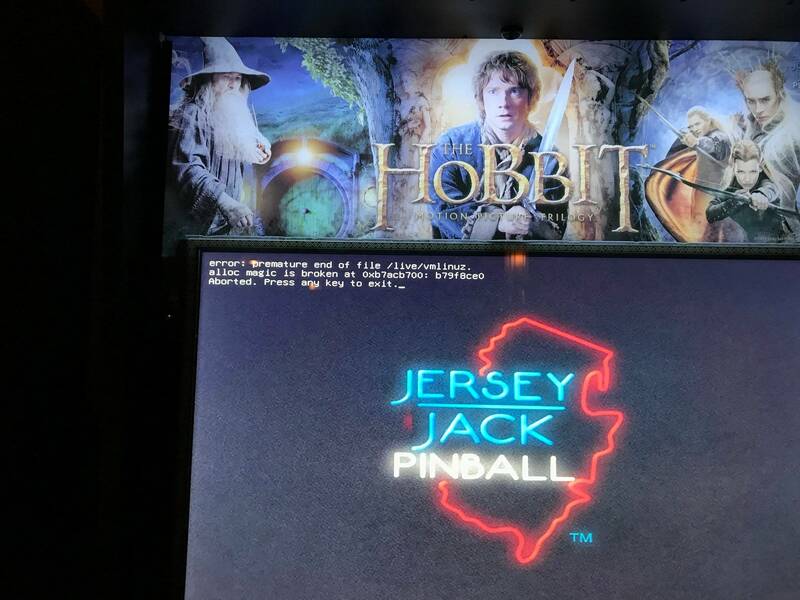 If you own a JJP game, email jen@jerseyjackpinball.com to get access to it. I kept seeing info for DI and thought we were on the back burner again, NOPE! Yup. Streaming on Monday on the twitch feed, testing next week at Expo. Released soon after. This was posted on Pinside recently. Can't tell you how refreshing it will be to see something other than POTC on the Stream. I wouldn't award any points for the loop as it's a fluke thing to happen. I would have it trigger another timed shot which has it's own reward. Oooh I like that. Hit the shot which is almost always random and be forced to hit the lockbar button before you hit a flipper switch. It happens so fast and your first instinct is to save the ball from a quick drain, what a great risk/reward and totally worth 1000 points! Ted any more tweaks to Smaug/Beast multiballs and book modes clashing? I know you mentioned implementing an option to stop Beast MB from starting. 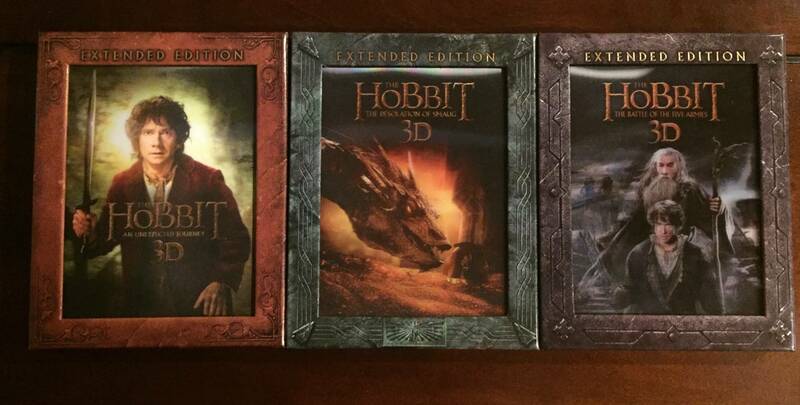 Book modes starting during Smaug MB is the biggest problem as constantly postponing it doesn't work very well at all. Also I still hope there is scope for expanded portcullis loop scoring, a 1000 points is arbitrary given that this is never intentional. Better to have something to do to gain points after the shot e.g. make flashing shot, hot drop target, etc. For now you could increase the Smaug lock difficulty in game settings. Won't fix it for good, but maybe "good enough". There will be no more changes in rules. Only bug fixes and choreography tuning will be applied prior V3.00. I explored a few rules for the u-turn loop, but abandoned them because it just doesn't give a nice feed to the flipper. Consider the current rule a consolation prize for flubbing the ramp shot. It’s a nice addition either way! I love love love love the idea of the “stage 1! Stage 2! “ callouts. That is really really helpful! That alone changes the mini-wizards from being kind of a mystery to a major goal-oriented mode! I know the shots are on the book but this feels SO different! I wonder if those would work in Smaug MB as well? WOW! Great mini update from the last one! Lots of new added Smaug heckling and comments after the second ball lock. My daughter was player two and said that Smaug is more chatty now than the WOZ wicked witch during that. Fantastic. 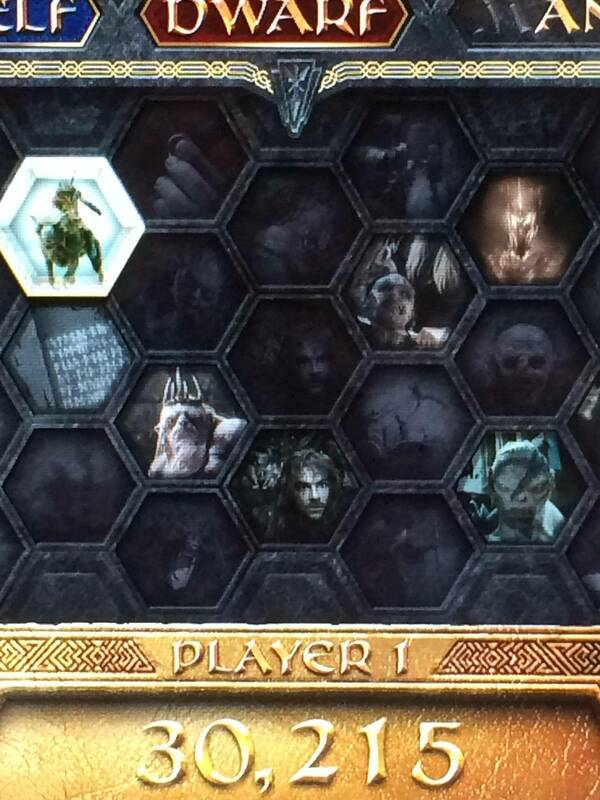 That first game after the update, I beat my grand champ score by over 1 million (and a few of those other "titles" as Smaug called it) with 3.7 mil. What a 45 minute rush! Daughter was playing too, so that is part of why it took that long. 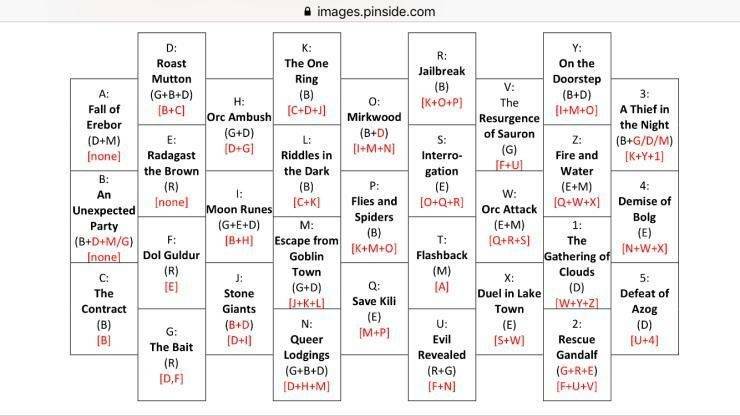 Got through Battle of 5 Armies but didn't totally complete those modes. Was working on trying to see if I could earn anymore Arkenstones after that, but didn't get there. All of those 3 mode inserts were still lit, so I wonder what would be next. ??? Just start the remainder of the book modes for that wizard? It was a great experience that I'm glad my daughter got to see (and coach me). She liked the changes and additional call outs during the game also. Hopefully Ted, Joe, and Keith will see that "we" really like the call outs and heckling, including the semi-humorous ones, that make the game so much better the way that they are doing it in this game and continue that kind of thing with the other JJP games. It definitely adds some polish to the feel of the game. Hopefully more call outs with animations on the phone are coming on DI next week. We didn't notice any hiccups or bugs. There were still a few Smaug call outs that were low in volume during the Arkenstone modes, but I don't know which ones as I couldn't hear them clearly. The Bilbo call out during some of the multi-balls saying "There's too many balls" was pretty hilarious as that was exactly what I was thinking at the time - at least that's what we think he said. The slight lighting changes were good too. There were a couple of times that there was a strobing lighting for a few seconds during a multiball - very distracting, but a great touch to change it up for just a few seconds to keep you on your toes. Great, great, great! These coding guys deserve a raise for this kind of code dedication and teamwork - keep them around and happy! I'd gladly buy them a beer at Expo at least as a thank you. WOW! Great mini update from the last one! Thanks for all the kind words. (Although the amount of work that went into certainly didn't feel "mini". ) I'm glad you're enjoying your game. - Smaug doesn't speak during Arkenstone modes. Maybe you meant something else? - I don't know that I have any more patience/time to do anything else with speech volume. Maybe if someone could tell me a particular clip or two, I could address those. There are over 500 speech clips in the game, and I've been through them several times balancing gain and adjusting ducking parameters. - I believe the Bilbo quote you heard is "There's far too many dwarves! ", which is played during Feast Frenzy. Haha, I was wondering where in the films he says “there’s too many balls!”. I believe I heard that in 2.95 as well. The last two updates were phenomenal, but this one is like the glue that’s tieing everything together. Really really phenomenal changes. I am sure I’ve said this 100 times if I’ve said it once; i hadn’t played this game in at least 6 months and this is an -entirely- new, amazing game. Although the amount of work that went into certainly didn't feel "mini". It sure did seem a lot better - thanks for all the effort! Smaug doesn't speak during Arkenstone modes. Maybe you meant something else? Hmmm, maybe it was some stacked modes. 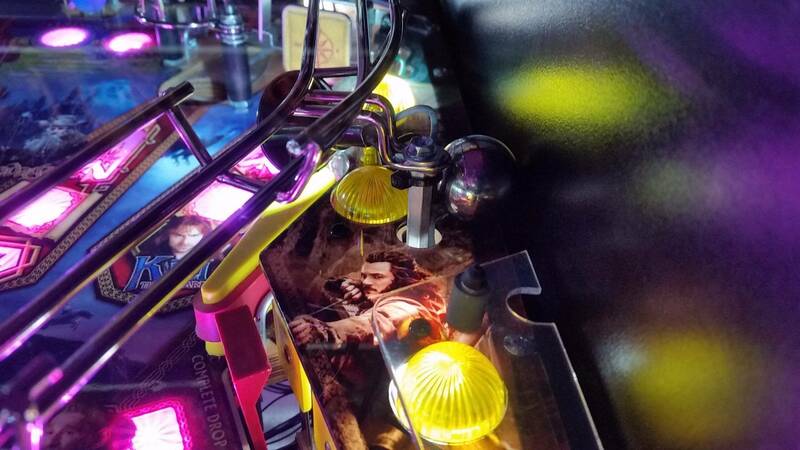 I know there was at least 4 balls going, so maybe it was during a Smaug multiball … I know the beasts were going up and down a bunch. I'll play a game with my wife and crank up the sound to see if we can find it/them. Not a big deal though. There was one mutiball mode (I don't remember which), that had some nice calm, light, soft music playing while I was frantically keeping 4 or more balls alive. That was fuuuuuny. LOL - my daughter heard it that way too and said "That wasn't in the films". I told her that they didn't say "Extra ball!" in the films either. Good update JJP - cool new effects, lighting, and speech. Love it! Let me extend the thanks of the entire team for all the enthusiastic comments. I also need to express my gratitude to David Thiel, Jean-Paul de Win, and Quinton Kappel for their efforts above and beyond the original scope of the project. Downloaded and love this update! Thanks Ted! One thing I may/may not have noticed but it felt like whenever I hit an orbit and locked an add-a-ball and then used either the right/left flipper button to divert the ball to the corresponding VUK, it seemed reversed. Hit the right flipper, went to the left VUK. Hit the left flipper, went to the right VUK. I have a Hobbit and woz - woz is down for a bit as Ted and I work on a solution having a party tomorrow why all this info if you were to send me a link well gee I might get my swagger back with my friends. Just played a long game on the 2.97, 1.7m. Wow. Lots of new callouts and lights. 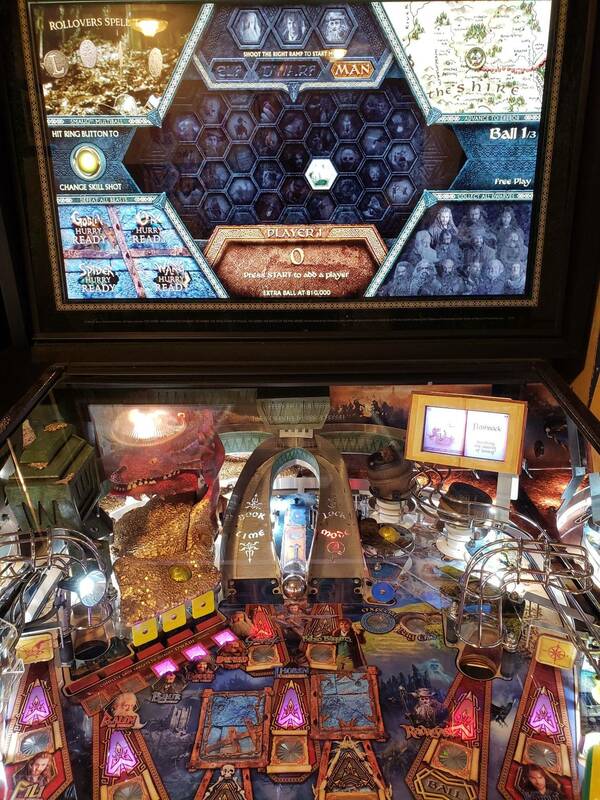 Played all 3 old Wizard modes but was about 9 regular modes from TABA. 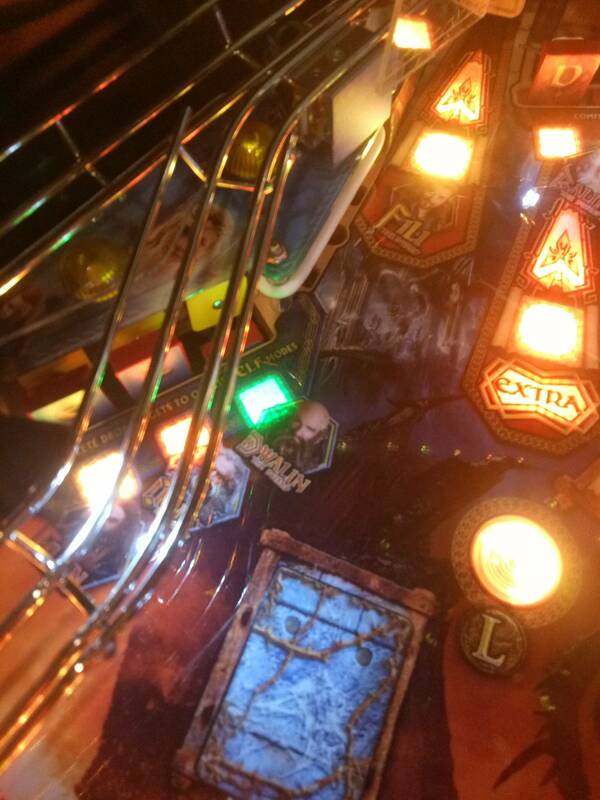 The only thing odd I noticed was playing Beast Multiball. On my first attempt I got pretty far and heard the awesome "Level 1 complete". I then killed about 15 beasts and never heard any new progress updates. Then it got a little weird. A ball got trapped in the front of the Warg as it was descending. Stayed trapped that way for a minute or so when the Warg raised up and released it. I drained to one ball and the Warg target stayed up with no light on in front of it. Also, the "Load Windlance" light was also lit. I tried to hit the Windlance shot but drained before I could. I did hit the Warg a couple of times but it didn't go down. I thought maybe a beast mech wire had snapped but after the ball the Warg target dropped and the game went back to normal. Played another 30 minutes without an issue that I was aware of. I could have sworn I killed enough Beasts to get to the 3rd level at least. Who knows, maybe the trapped ball screwed up the Warg and it wouldn't let me complete the level. Also, Smaug spoke and moved correctly on locks. I will say, like a previous poster, I did have the same incident he did where I locked a ball and Smaug didn't move or make a sound. Maybe once out of every 20-30 games? This was on the 2.96 software. Thanks Friends! I know nothing have nothing see nothing. Write an email and you should get access to the update link. Didn't take me longer than about two hours waiting for her response. I clearly do not regret the last update. The last two software updates can only be described in one simply word. Amazing! Yesterday I got the link from Jen, but i get always a server error Message. Fault on my side or is there really a problem actually ? Is a google account necessary ? Fault on my side or is there really a problem actually ? I just tried it. Working here. I have a Google account and it works for me. I may have found a bug with 2.97. After playing Smaug MB i started the mode "Flashback" that was from the time when Smaug terrorized Laketown years before the films. In earlier code I thought Smaug started moving around almost immediately when the mode starts. When I played the mode today I made a few shots but he never moved once. I ended up draining during the mode so not sure if Smaug starts to move around later in the mode. I got to the point in the mode where you load the Windlance but Smaug still hadn't moved yet. On my next ball I started locking balls again and Smaug moved so I can verify it's not a hardware issue. Here's the scene the mode is based off of. Finally got access after the first link in gave me email updates but not group access. No sooner did I do I found the link for the 2.97 beta saying it's gone I don't know really how actively Ted checks the newsgroup but I posted about it about 6 hours ago. Maybe some one might just PM me and pass on a copy as I was going to get into checking out the beta today as we speak while I have a bunch of time to. 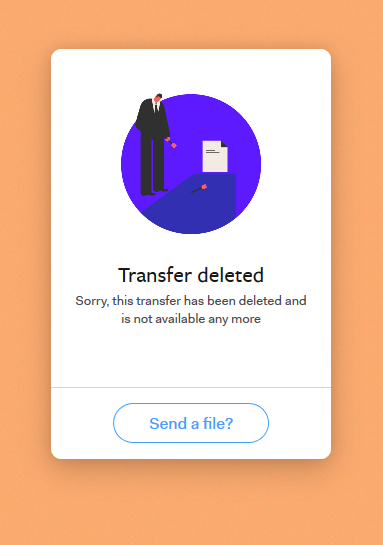 Hi Ted, having just come into the group and looking forward to beta testing the update, I clicked the to find the WeTransfer site says 'Transfer Deleted'? Have I missed the boat on 2.97 or something? Ted, can you confirm something for me please? There seems to be a big difference in the 2.96 code in the frequency of the Precioussss award being given out. It got so bad that I pulled the glass and started manually trying to make it happen. It took me about 25 tries to get it to be rewarded, when before I know it was much more frequently. Was this a known change or is this a bug, or is this possibly something wrong with just my machine? It really takes away from the game experience and shortens the game considerably. Any information would be helpful. Thanks. Anyway, the epic music was playing before the drain - and then of course on my next ball it went back to the 'shire' music. I wonder if you could have it play that awesome Arkenstone qualified call out, the animation on the LCD, and then the resume the epic music after you hit a switch on the plunge. That will get them back into that awesome music again and pumped to start the ark mode. So 2.99 is on the JJP forum, and I’m trying to apply the update and every time I run the update the game remains at 2.96. Anyone have recommendations to make it stick? Anyone have recommendations to make it stick? You are doing something wrong, or the game doesn't like your USB stick. On my PC I download it, put it on my desktop. 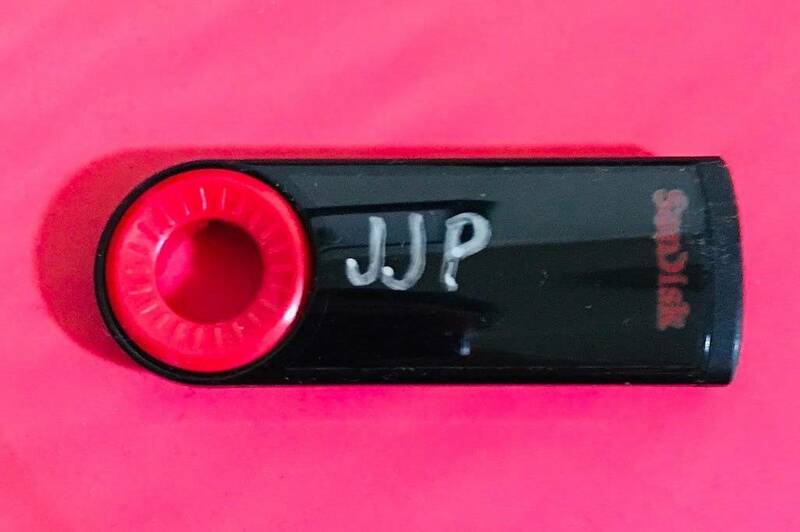 Format a memory stick to be sure nothing else on it. 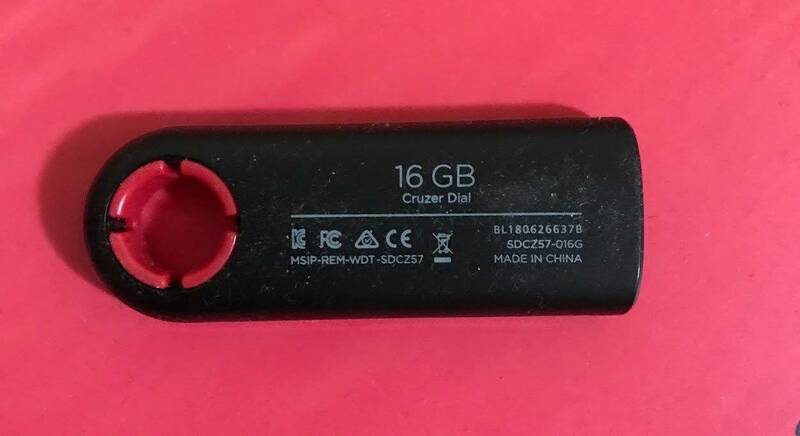 ( PNY 8 GB ) Left click the zipped folder, the right click it - pick extract and send it to the USB stick. 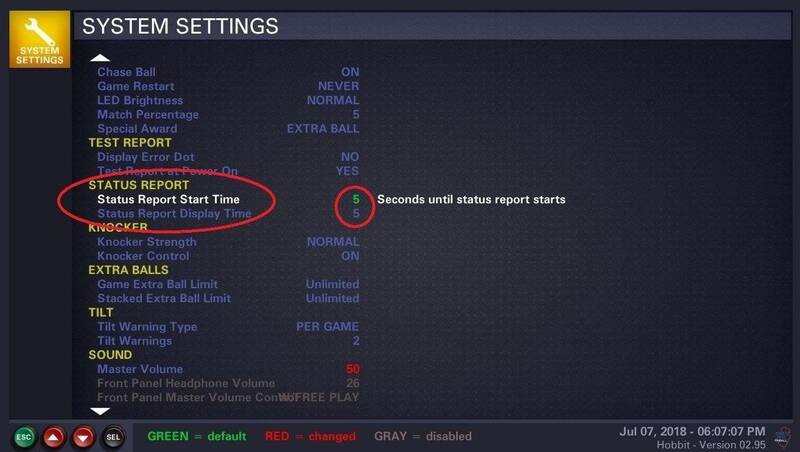 Take the USB stick and plug it into the USB cable in the game, go to Utilities - USB Update - do what the screen says. Then the screen says Update In Progress. When doen it says Remove the USB stick and turn the game off, wait a bit, and turn back on. Then check if the 2.99 is in it. I ended up solving it by doing a full install of 2.00 then upgrading from that to 2.99.
v2.99 is good stuff. I don’t notice Smaug talking much. He has a few lines where he turns and lights up and talks but not often. What are the triggers? Really enjoy seeing the locked mode balls on the screen. There's now a lot more Smaug callouts in the game then there used to be and I've noticed that they rotate. In the past it was always the same set of few Smaug callouts that played. Smaug does move around in one of the book mode missions but I don't believe he talks in it. 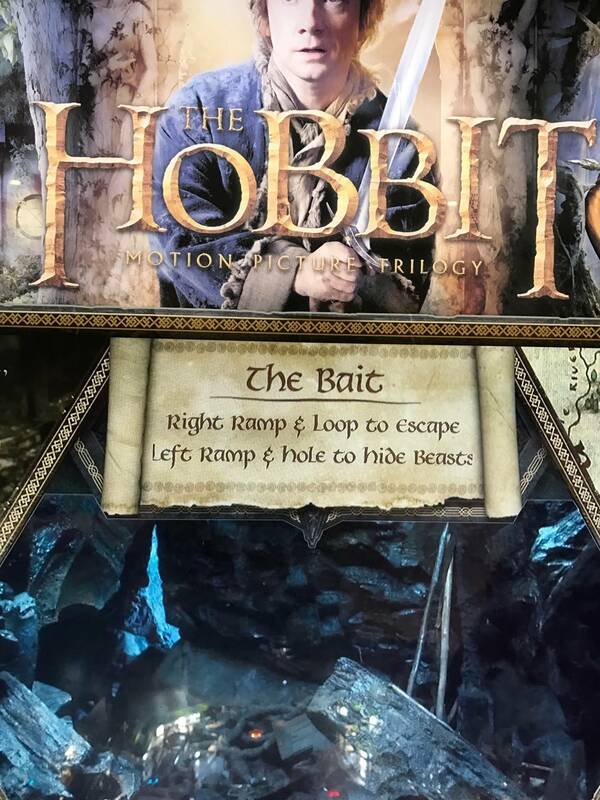 I still wish there was a "Riddles in the Dark" and / or "Thief in the Shadows" book mode or multiball with Smaug and Bilbo going back and forth but overall very happy with how more Smaug callouts are now in the game. What happened to the toppers? No toppers or manual's? Wonder what happened . Lorenzo's topper never made it into production. I also liked the ship in a bottle one for POTC. I think Joe leaving redirected the development of the game. Did manual's come with the se and le or were the extra? Also was was the hobbit topper suppose to be like? Any pics? Pinnovators was suppose to make a (or maybe "the") interactive topper but they weren't getting info out of JJP. I had inquired about it with Pinnovators a couple years ago. They still have it listed on their website as "coming soon". Did manual's come with the se and le or were the extra? 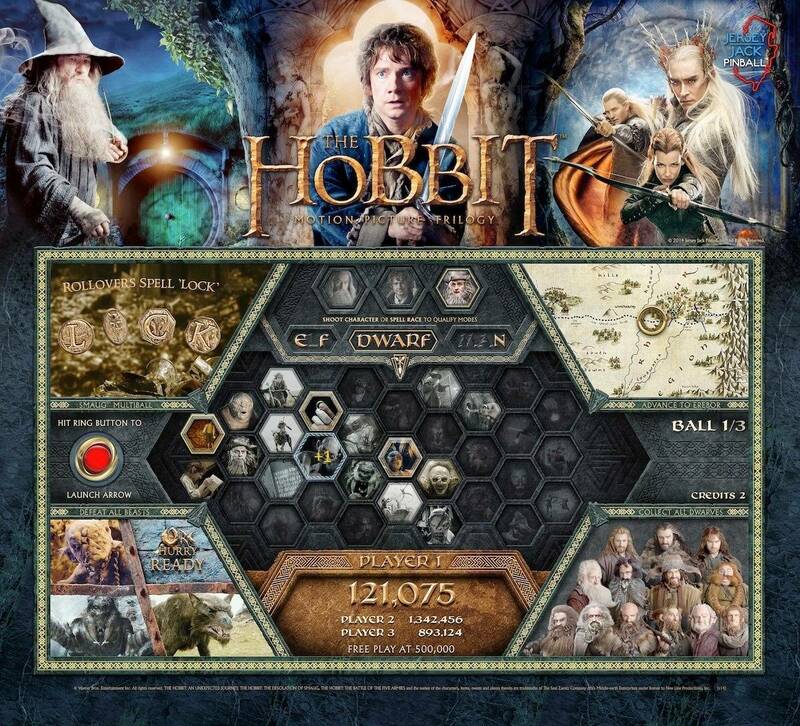 Also was was the hobbit topper suppose to be like? Kind of a front of a Hobbit house, door openswhen game starts, closes when the game is over. I've only seen line drawings. Don't know if one ever got built. Man someone sld build them.. The game is epic now and i bet many wld buy it. 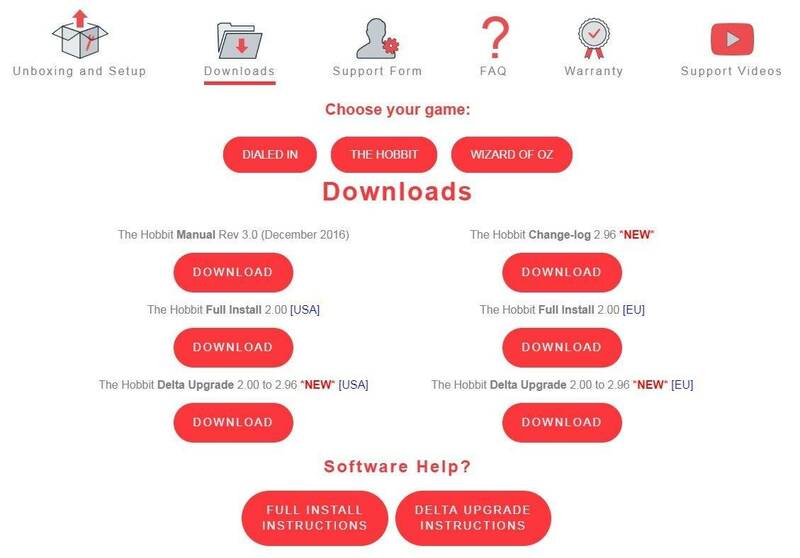 Anyone have trouble updating Hobbit? We just got one on location and the operator and I were trying - followed the instructions and am on a Mac but the update failed on three different USB drives we tried it on. 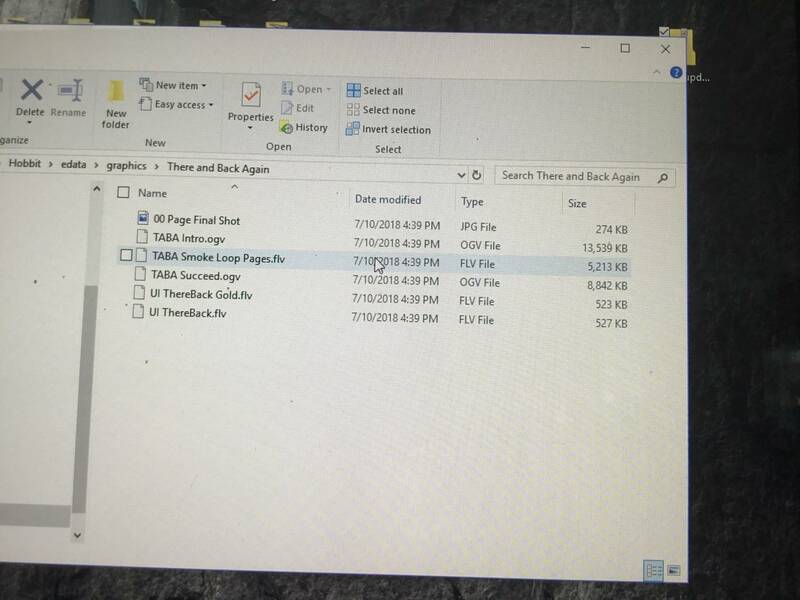 Confirmed the download was not corrupted... any thoughts? update failed on three different USB drives we tried it on. Be sure they aren't too big ( I use 8GB ) Nothing else on them. And 2.0, not 3.0 USB. I did use 16GB and will check about the 3.0 vs 2.0 USB... so weird that would cause a problem - thanks!